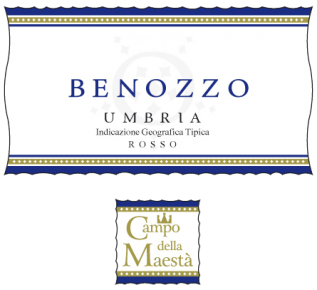 Benozzo is a 100% Sagrantino made in the old, Umbrian tradition. A deep ruby red wine, it opens with rich fruity aromas especially blackberry, hints of vanilla and black pepper. Soft and fresh with the rich level of acidity. Sagrantino is one of Italy’s most tannic red grape varietals but with expert ageing it produces big wines: Benozzo is smooth, sweeter and round on the finish. Enjoy with meat dishes, such as a nice steak or lamb, and aged cheeses. Benozzo takes its name from Benozzo Gozzoli (1420- 1497), the most famous painter in the area around Montefalco. Historically Sagrantino was a sweeter wine, used during mass and served during Easter lunch. The DOC regulations implemented in 1973 (and DOCG later in 1992) instead call for a dry Sagrantino.